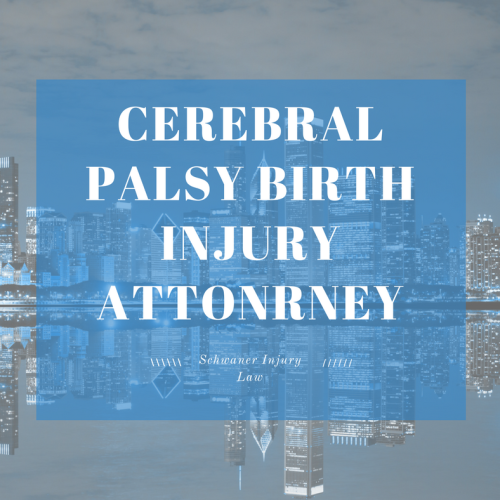 Are you looking for a Cerebral Palsy birth attorney in chicago? Cerebral palsy is a movement disorder caused by damage that usually occurs before birth, and impacts between 1.5 to 2 million children and adults in the United States. While the exact cause of the condition is unknown, there are a variety of risk factors associated with cerebral palsy, including premature birth, low birth weight or loss of oxygen during birth. Comedian Josh Blue, one of the 2 million people who have CP, used self-depreciating humor about the disorder to win NBC’s “Last Comic Standing,” the first person with cerebral palsy to compete on the reality show and one of many people with cerebral palsy who have been able to achieve their goals in spite of their disorder. While the condition causes physical limitations because the disorder impacts the developing brain, it is not always linked to intellectual ability. “People assume that because you have a physical disability, you are not able to grasp simple things mentally,” said Blue in an interview with WebMD.com, adding that while he sometimes has difficulty talking, it’s not because he doesn’t know the words. Instead, it’s because his ability to voice them is a symptom of the disease. Symptoms of cerebral palsy generally tend to manifest themselves during infancy or in preschool years, and they are most marked by impaired movement. The degree of disability varies greatly. Some people – such as comedian Josh Blue – are able to walk despite uncontrollable muscle spasms and have normal intellectual capacity, while others have both physical and intellectual disabilities. Parents may notice delays in motor skills milestones including crawling, and children with cerebral palsy may favor one side of their body, such as using only one hand while learning to crawl. While cerebral palsy doesn’t worsen over time, muscles that are stiff or rigid can become more so without physical therapy. While the exact cause of cerebral palsy isn’t known, researchers do know that the condition is associated with a disruption in brain development before birth. Infants can also develop cerebral palsy during or after birth. Breech births. Babies born breech are more likely to suffer from oxygen deprivation, which has been linked to cerebral palsy. Difficult labor and delivery. If there are problems during delivery, such as a pinched or twisted umbilical cord or a placenta that breaks away from the uterine wall, it can cut off oxygen or blood that carries oxygen to the brain, causing damage linked to cerebral palsy. Bacterial meningitis or viral encephalitis. Both of these serious illnesses cause inflammation of the membranes around the brain and spinal cord. Jaundice. If jaundice, which is a result of toxic levels of bilirubin in an infant’s blood, is left untreated, the toxins can move from the blood to brain tissue, potentially causing a brain damage known as kernicterus, which can include cerebral palsy. Babies born prematurely, babies with a low birth weight, babies who are part of multiple births or babies whose blood type does not match the mothers’, causing the production of antibodies that will kill a baby’s blood cells, cutting off oxygen, are also more likely to develop cerebral palsy than other babies. Contracture. When muscles are constantly tight, the muscle tissue can shorten or contract, causing bone and joint problems that can lead to chronic pain. Malnutrition. Because some people with cerebral palsy have trouble chewing or swallowing they may not take in the nutrients they need for healthy growth and strong bones, which is especially important for someone faced with muscle issues that could impact bones. Depression. Because cerebral palsy can lead to social isolation, depression and anxiety are not uncommon. Neurological conditions. Those with cerebral palsy are more likely to develop worsening neurological symptoms over time, especially as loose muscles atrophy or tight muscles contract. Osteoarthritis. Because tight muscles can put pressure on joints, early onset of the degenerative bone disease as well as low bone density (osteopenia) are both likelier for someone with cerebral palsy. If your baby is born with cerebral palsy as a result of a medical error or develops the disorder after birth due to an illness that could have been prevented, it’s important to contact an attorney who specializes in birth injuries to determine if you have a medical malpractice case and may be entitled to damages. The cost to care for your child – and your child’s long-term costs including for mental and physical health care – could be high, especially over a lifetime. An experienced attorney can help you get a settlement that will cover those costs, allowing you and your child to focus on creating the richest life possible. For Josh Blue, that means taking his physical challenges and making them part of his standup routine. 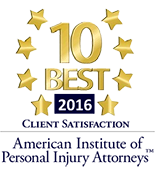 Do you need a birth injury lawyer for cerebral palsy in the Chicagoland area? Get in touch with us today and find out how we can get you the compensation you deserve for your injuries.